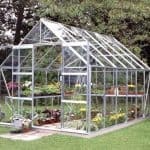 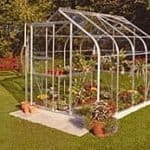 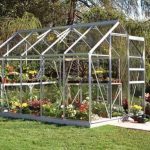 This is a silver trim aluminium greenhouse which is popular with gardening enthusiasts as it gives the ability to grow many different plants, flowers and vegetables throughout the year. 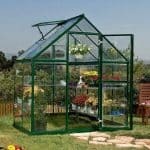 It comes in polycarbonate glazing and you are able to purchase an additional auto vent allowing temperature control. 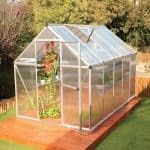 It also has a 15 year guarantee and is long lasting and low maintenance. 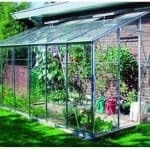 When purchased with a base it is raised by 128mm. 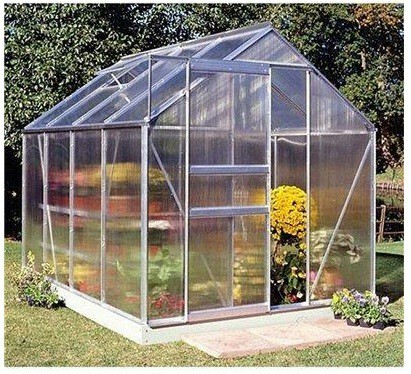 A great all round purchase which is affordable in price too.